Founded in 1979, The National Center for Interpretation (NCI) is a research and outreach unit at the University of Arizona located in Tucson, Arizona. From its inception, the unit was charged with promoting intercultural communication and social justice for language minorities, mainly through training and testing for interpreters and translators. A corollary objective was that of advancing the professionalism of the field. Our previous director and founder, Dr. Roseann Gonzalez, provided the groundbreaking work that lead to the establishment of the process to assess and certify federal court interpreters in Spanish, Navajo, and Haitian Creole. Her work set the standard for interpreter testing for the entire profession of court interpreting, and helped to expand interpreter testing and training across many regions and professional fields in the USA. In 1983, Dr. Gonzalez founded the then 3-week Summer Court Institute for Court Interpretation. She also created the Medical Interpreter Training Institute and both institutes’ curricula continue to be valid -- and even considered a gold standard by some-- in today’s ever-changing world of interpreting. 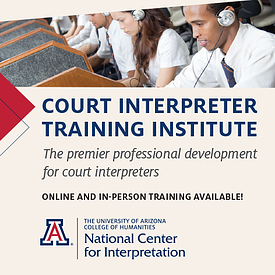 The Court Interpreter’s Training Institute (CITI), which is the current version of this gold standard of training, has morphed into a hybrid course comprised of multiple webinars during the month of June and an intense 2-week period of on-site training on the U of A campus in early July. Having experienced both the MITI and the CITI personally, I can say the training is indeed exhaustive -- and exhausting. However, I would also say it is, and continues to be, one of the most challenging and robust trainings for interpreters I have ever experienced. I highly recommend it to those who are serious about becoming professionals. 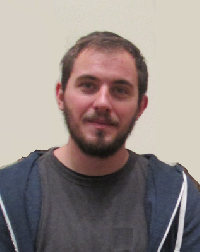 The experience definitely changed my life and pushed me to become a better, more flexible and knowledgeable interpreter. Was it worth the price? I think so. The trainers were all federally certified interpreters and/or experts in their fields (physicians, forensic and ballistic specialists, etc.). In addition, I still return to my notes and the resources I was given during those trainings when I need to refresh my memory on something. So, if you are looking for a valuable and valid training experience for court interpreters, I highly recommend you come to the place where it all started, the Court Interpreter Training Institute run by NCI at the U of A. You would be in good company.